There is nothing more aggravating when using your computer or other online access device then having to wait a long time for a file or a program to download. Whether this is due to a poor internet connection or some other reason, there is a program that can help speed downloads up; it’s called Download Accelerator Plus. This easy to use download managing program is becoming a popular choice when it comes to eliminating the aggravation of long download times. Let’s take a look at how this program works to speed up the downloading process. The secret to the success of Download Accelerator Plus is that it takes the large file that needs to be downloaded and chops it up into smaller files. It takes these smaller files and then downloads them individually; this greatly increases the speed of the download of a file or program because it can now download several parts of that item at once. Before the item was broken up into smaller files you could only download one part at a time. Once the process of downloading the smaller files is complete, the download manager then puts them back together into a single file. It is user friendly – This is a key feature of any reputable computer program. The well designed interface on Download Accelerator Plus is easy to use and understand. It takes very little instruction for you to be using the program like a pro in no time at all. It is resource friendly – It does not take up a lot of your computers resources and in turn does not slow the response time of your computer down on the other tasks you are using it for. It can access most sites – A lot of times when you use a download manager they are limited in the number of sites that they can access and download from; this is not a problem that Download Accelerator Plus encounters that often. So you can access the websites you want more easily and get the desired information you seek downloaded. It has built in security features – there is no time your computer is more vulnerable to malware attacks then when you are downloading. Download Accelerator Plus has built in security protocols that help greatly minimize this risk. The program is available in three separate versions. Free – This is a free and scaled down version of the main product, but don’t be fooled because it still downloads the desired items very fast. 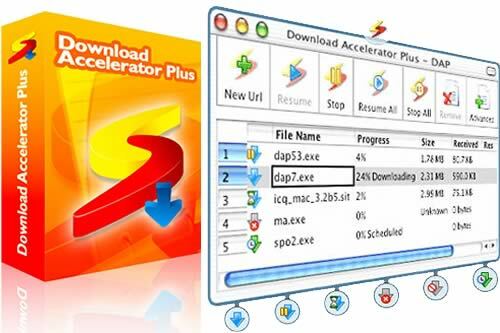 Premium – This is the paid version of Download Accelerator Plus. It has many advanced features that are not found in the free version. 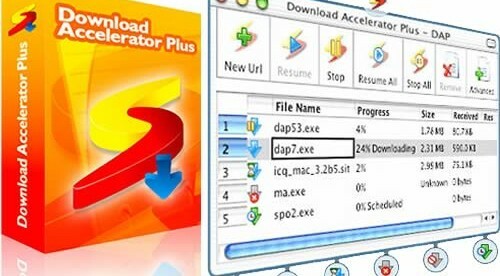 Download Accelerator Plus for Mac – This is a specially designed version for use on Apple Macintosh computers. It starts out as a free trial then you have to purchase it eventually to continue to be able to use it. So even if you just purchase the free version of Download Accelerator Plus, it will go a long way toward not only making your downloads much faster, but it will allow you to manage those downloads better once you have them.